“JOY” – A feeling that we all strive for, a feeling that we all look forward to, a feeling that gives us inner content, a feeling that fills up with new energy and enthusiasm. How often do you have this feeling? What makes you feel it? In today’s world , where we all spend most of our time rushing here & there, busy with our complex schedules & targets, do we leave a room for such things? We certainly feel happy for big achievements – new job, promotion, good financial status, new house, new car & other materialistic/ luxurious possessions. But, when we associate it with such big things, we also end up reducing the frequency of feeling joyful. Such things won’t happen every day. Also, the feeling is like a momentary/ short term trigger. For instance, if you buy a new house, you will have that pleasant, joyful feeling for few days, months…but not for next 10 years. Now, let’s discuss some routine life instances which give us the same joyous feeling. Do you enjoy morning fresh air, a walk on grass, cold breeze & drizzling raindrops, meeting with friends, moving out with family, celebrating festivals, birthdays, a long drive, a leisure trip, eating your favorite food, pursuing your hobby, playing with kids , talking with elders…. & the list goes on. Moving freely all around and enjoying every little thing that comes across – this is kids way of living…isn’t it? But, as we grow up, we start thinking it’s all wastage of time, it’s all so kiddish. We start acting too matured & get busy with our long term targets and then there comes a time when we start feeling exhausted, bored, but we still keep running, keep rushing without a halt. 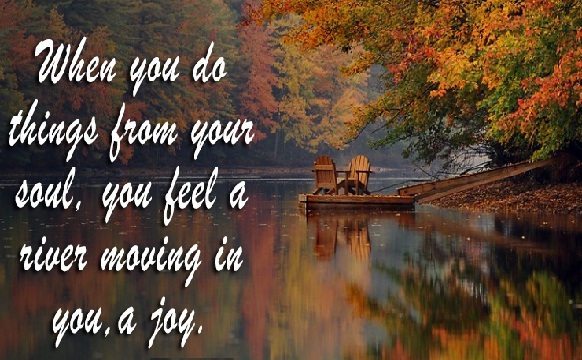 “JOY” is a feeling which stimulates the energy within us, it charges us with positivity & enthusiasm, it provides an accelerating force & helps us move forward smoothly. If, we keep some time for ourselves and experience this more often, we will surely be more successful & satisfied. But, instead we start waiting for a big accomplishment. It is just like staying hungry & waiting for a party to enjoy heavy, delicious food & drinks. But, we all know we can’t have such food every day. We need to satisfy our daily hunger with regular food & normal water. This is essential for healthy living. Same goes with our emotions. Human emotions & mental state plays a great role in defining our health & energy. We therefore need to plan our daily activities in such a way that we get some dose of joy, happiness & satisfaction & for that we will have to start finding “Joy” in small things. This entry was posted in Life and tagged Celebration, family, Festival, food, friends, happiness, Joy, Life, Philosophy, Quotes, Random, Thoughts by Akanksha. Bookmark the permalink. 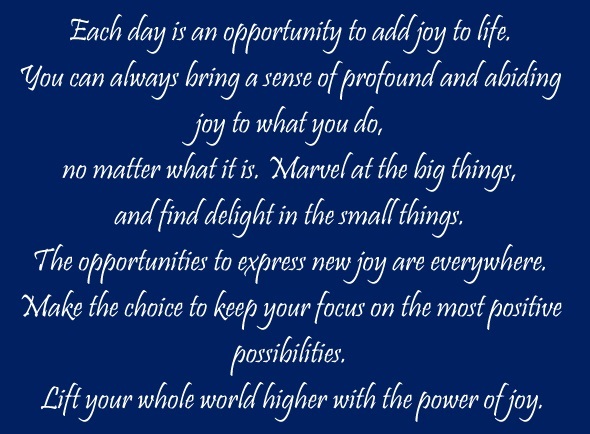 Joy-The term itself bring smile to my face. Really loved the post Akanksha. Ah, joy! Tis the best of feelings! Your message was so invigorating to my whole! And a smile still lasts from their touch! Beautifully written, joyfully done. Hugs and blessings always! Wow Akansha..loved your post..truly as we know..its necessary to keep the little kid in us alive..I know its there in you..have a joyful life..Keep Writing and Sharing your wonderful thoughts !